Prior to 1985, various provinces and municipalities in South Africa had their own construction laws and regulations which, although similar, were not the same. Over a period of years a committee of experts, including architects, builders, developers, and the Bureau of Standards (SABS) professionals researched and compiled a proposed draft legislation. This was then sent out to numerous interested parties throughout the country for comment. All comments were meticulously examined and alterations to the draft were made where necessary. eventually, in 1977 South Africa’s first national construction laws, the National Building Regulations were promulgated; and on September 1, 1985, they became effective in law. Although widely referred to as the National Building Regulations (NBR), the legislation is National Building Regulations and Building Standards Act No. 103 of 1977. Relatively general in format, the Act relies on national standards published by the South African Bureau of Standards (SABS) that provide a code of practice (also known as deemed-to-satisfy rules) for the application of the NBR. While the national Building Regulations and Building Standards Act does not refer directly to the SABS or the national standards, it does use the terms “council” and “bureau” throughout. In terms of definition, “council” and “bureau” are dealt with in the Standards Act, No 30 of 1982 (which amended parts of the NBR), and refer to the Council of the South African Bureau of Standards – in other words, the SABS and its national standards. From the start, the SABS has produced its codes of practice after the legislation was introduced or revised. 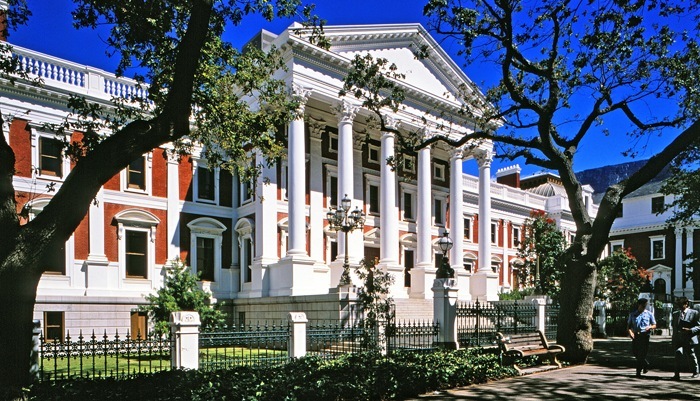 So while the Act became effective law in September 1985, it was only two years later, in September 1987 that the first code of practice – SABS 0400-1987 – was published. The Act was amended again in 1984 and in 1989, and the national standards were amended in 1990. The intention was to publish another revision of SABS 0400 in 1995, but this never happened. Meanwhile, a decision was made to substantially update the law. The amended legislation was published on May 30, 2008 and it came into operation on October 1 the same year. Two years later, the bulk of SABS documents explaining how designers and builders should interpret the regulations, were still not available and they were forced to refer to SABS 0400-1990, that had been renamed SANS 10400-1990. Now that all the new SANS have been published by the SABS, this outdated document is available from the SABS and on this site, free. While the “deemed-to-satisfy rules” provide invaluable comment about the regulations and construction laws, and explain how designers (including architects and engineers) and builders should interpret them. More importantly they expand on ways to ensure that all construction and building work results in buildings and homes that are safe. The NHBRC’s handbooks contain similar information. Because the Act is more than just an enabling legislation, it is important to realize that the Act and the SANS should be read together. Local authorities are responsible for the correct application and administration of the regulations and their bylaws. The Act as it stands below shows all amendments prior to the Standards Act of 2008. The Act has been amended by section 99 of Act 29/96 by the substitution for the expression “Government Mining Engineer” wherever it occurs in this Act of the expression “Chief Inspector as contemplated in the Mine Health and Safety Act, 1996”. The Act has been amended by s. 36 of Act 8/2008 by the substitution for the word “bureau”, wherever it occurs, of the word “National Regulator”. The Act has been amended by s. 36 of Act 8/2008 by the substitution for the word “Council”, wherever it occurs, except in the definition of “local authority”, of the word “Board ”. To provide for the promotion of uniformity in the law relating to the erection of buildings in the areas of jurisdiction of local authorities; for the prescribing of building standards; and for matters connected therewith. “this Act” includes the national building regulations made and directives issued in terms of it. (1) Subject to the provisions of any notice published in terms of subsection (2), the provisions of this Act shall apply in the area of jurisdiction of any local authority. >>>(a) The Minister may, on such conditions as he may think fit and after consultation with the Board and the Administrator of the province in question, of his own accord or at the request of a local authority or any other person, by notice in the Gazette exempt the area of jurisdiction, or any part thereof, of any local authority from the application of this Act, or of any provision or provisions thereof which are mentioned in the notice. >>>(b) Different notices may in terms of paragraph (a) be published in respect of different local authorities or different categories of local authorities. (3) Subject to the provisions of subsection (4) this Act shall not bind the State. specifications and certificate as may be prescribed by national building regulation, shall before the commencement of such erection be lodged with the local authority in question for its information and comment. >>>(b) by virtue of economic considerations, necessity or expediency, exempt the State, either generally or in any particular case, after notice in writing to the local authority in question, from the provisions of this subsection. >>>(b) any prohibited place as defined in section 1 (1) of the Protection of Information Act, 1982 (Act No. 84 of 1982), after notice in writing to the local authority in question from the provisions of this Act. (6) Subject to the provisions of subsection (7), the owner of any building which is or is to be erected on mining property and which is or is to be used exclusively for the operation of a mine or any works or machinery, as defined in the Mines and Works Act, 1956 (Act No. 27 of 1956), and which is in terms of section 2 of that Act subject to the supervision of the Chief Inspector as contemplated in the Mine Health and Safety Act, 1996, shall be exempted from the provisions of this Act. >>>>>>>(ii) give notice in writing to such owner that it cannot so provide any such service. (8) The owner of a National Key Point in respect of which an exemption contemplated in subsection (5) applies, shall, if the provisions of the National Key Points Act, 1980 (Act No. 102 of 1980), cease to apply in respect of him, forthwith submit to the local authority concerned such plans, specifications and certificates as may be prescribed by the national building regulations, and shall comply with such requirements of this Act as should in the opinion of that local authority be complied with to ensure the safety and health of the occupants of any relevant building. Any person who prepared any plan, specification, document or diagram submitted in terms of this Act shall affix his name and address and, in the case of an architect, land surveyor or registered person, also his profession and registration number, if any, to such plan, specification, document or diagram. (1) No person shall without the prior approval in writing of the local authority in question, erect any building in respect of which plans and specifications are to be drawn and submitted in terms of this Act. (2) Any application for approval referred to in subsection (1) shall be in writing on a form made available for that purpose by the local authority in question. >>>(b) be accompanied by such plans, specifications, documents and information as may be required by or under this Act, and by such particulars as may be required by the local authority in question for the carrying out of the objects and purposes of this Act. (4) Any person erecting any building in contravention of the provisions of subsection (1) shall be guilty of an offence and liable on conviction to a fine not exceeding R100 for each day on which he was engaged in so erecting such building. (1) Subject to the provisions of subsection (3) a local authority shall appoint a person as building control officer in order to exercise and perform the powers, duties or activities granted or assigned to a building control officer by or under this Act. (2) Any person not having the qualifications prescribed by national building regulation in respect of a building control officer shall not without the approval in writing of the Minister be appointed as building control officer in terms of subsection (1). >>>(c) a local authority, with the approval in writing of any other local authority and on such conditions as they may agree to, to make use of the services of any person appointed as building control officer by such other local authority. >>>(b) on such date is still so employed, shall be deemed to have been appointed in terms of this section as building control officer by such local authority. >>>(d) report to the local authority in question, regarding non-compliance with any condition on which approval referred to in section 4(1) was granted. (2) When a fire protection plan is required in terms of this Act by the local authority, the building control officer concerned shall incorporate in his recommendations referred to in subsection (1)(a) a report of the person designated as the chief fire officer by such local authority, or of any other person to whom such duty has been assigned by such chief fire officer, and if such building control officer has also been designated as the chief fire officer concerned, he himself shall so report in such recommendations. (4) This section shall not be construed so as to prohibit a local authority from granting or entrusting to a building control officer any powers, duties or activities not connected with this Act or to prohibit any building control officer, with the approval of a local authority, from delegating to an officer under his control any power, duty or function granted or entrusted to building control officers in terms of this Act. >>>(bb) will probably or in fact be dangerous to life or property, such local authority shall refuse to grant its approval in respect thereof and give written reasons for such refusal. Provided that the local authority shall grant or refuse, as the case may be, its approval in respect of any application where the architectural area of the building to which the application relates is less than 500 m2, within a period of 30 days after receipt of the application and, where the architectural area of such building is 500 m2 or larger, within a period of 60 days after receipt of the application. (3) When a local authority has granted its approval in accordance with subsection (1)(a) in respect of any application, such approval shall be endorsed on at least one of the copies of the plans, specifications and other documents in question returned to the applicant. (4) Any approval granted by a local authority in accordance with subsection (1)(a) in respect of any application shall lapse after the expiry of a period of 12 months as from the date on which it was granted unless the erection of the building in question is commenced or proceeded with within the said period or unless such local authority extended the said period at the request in writing of the applicant concerned. >>>(b) where an application is submitted under section 18. (6) The provisions of this section shall not be construed so as to prohibit a local authority, before granting or refusing its approval in accordance with subsection (1) in respect of an application, from granting at the written request of the applicant and on such conditions as the local authority may think fit, provisional authorization to an applicant to commence or proceed with the erection of a building to which such application relates. (7)> (a) An application which is substantially the same as an application referred to in this Act and which before the date of commencement of this Act has been lodged with a local authority for its consideration and in respect of which such local authority on that date has not yet granted or refused its approval, shall be considered by such local authority as if this Act had not been passed. >>>(b) Approval granted by a local authority before the date of commencement of this Act in respect of an application substantially the same as an application referred to in this Act, shall be deemed to have been granted in terms of this section if the erection of the building in question has not been commenced with before the said date. (1) If a local authority fails to grant or refuse timeously its approval in accordance with section 7 in respect of an application, a court may on the application of the applicant concerned make an order directing such local authority to perform its duties and exercise its powers in accordance with that section within the period stated in such order, or make such other order as it may deem just. (2) Notwithstanding anything to the contrary contained in any law relating to magistrates’ courts, a magistrate shall have the jurisdiction to make any order referred to in subsection (1). >>>(c) disputes the interpretation or application by a local authority of any national building regulation or any other building regulation or by-law, may, within the period, in the manner and upon payment of the fees prescribed by regulation, appeal to a review board. >>>(b) two persons appointed for the purpose of any particular appeal by the said chairman from persons whose names are on a list compiled in the manner prescribed by regulation. >>>(a) in the opinion of the local authority in question is being or is to be erected in such manner that it . >>>(b) is being or is to be erected on a site which is subject to flooding or on a site which or any portion of which in the opinion of the local authority in question does not drain properly or is filled up or covered with refuse or material impregnated with matter liable to decomposition, such local authority may by notice in writing, served by post or delivered, prohibit the person erecting such building or earthwork or causing such building or earthwork to be erected from commencing or proceeding with the erection thereof or from so commencing or proceeding except on such conditions as such local authority may determine from time to time. (2) Any person who fails to comply with any provision of a notice or condition referred to in subsection (1) shall be guilty of an offence and liable on conviction to a fine not exceeding R100 for each day on which he so failed. (1) If for a period exceeding 3 months the erection of a building is not proceeded with, the local authority in question may by notice in writing, served by post or delivered, order the owner of such building to resume and to complete the erection of such building within the periods specified in such notice. (2) If the owner of a building on or to whom a notice referred to in subsection (1) was served or delivered, fails to resume or complete the erection of such building within the periods specified in such notice, the local authority in question may extend such periods from time to time if such owner satisfies it that such failure was due to circumstances beyond his control. (3) If the owner of a building on or to whom a notice referred to in subsection (1) was served or delivered, fails to resume or to complete the erection of such building within the periods specified in such notice or, when applicable, within such periods as extended in accordance with subsection (2), and the local authority in question is of the opinion that such building is unsightly or dangerous to life or property or derogates from the value of adjoining or neighbouring properties, such local authority may by notice in writing, served by post or delivered, order such owner to demolish such building, to remove the material of which such building consisted and any other material or rubbish from the site in question, and to otherwise clean up such site within the period specified in the last-mentioned notice. (4) If the owner of a building fails to comply with a notice served on or delivered to him in accordance with subsection (3) in respect of such building, the local authority in question may demolish such building, remove the material of which such building consisted and any other material or rubbish from the site in question and otherwise clean up such site, and may recover the costs thereof from such owner: Provided that such local authority may sell such material and may utilize the proceeds of such sale to defray the costs of such demolition, removal or clean-up and shall pay the balance, if any, of such proceeds to such owner. (5) Any approval granted by a local authority in accordance with section 7(1)(a) in respect of any application shall lapse as soon as a notice in terms of subsection (3) is served on or delivered to the owner of the building in question in respect of such building. >>>(b) any building or the land on which a building was or is being or is to be erected or any earthwork is dangerous or is showing signs of becoming dangerous to life or property, it may by notice in writing, served by post or delivered, order the owner of such building, land or earthwork, within the period specified in such notice to demolish such building or to alter or secure it in such manner that it will no longer be dilapidated or in a state of disrepair or show signs thereof or be dangerous or show signs of becoming dangerous to life or property or to alter or secure such land or earthwork in such manner that it will no longer be dangerous or show signs of becoming dangerous to life or property. Provided that if such local authority is of the opinion that the condition of any building, land or earthwork is such that steps should forthwith be taken to protect life or property, it may take such steps without serving or delivering such notice on or to the owner of such building, land or earthwork and may recover the costs of such steps from such owner. (2) If the condition of any building or the land on which a building was or is being or is to be erected or any earthwork is such that it is dangerous to life or property, the owner of such building, land or earthwork shall forthwith notify the local authority in question thereof. (3)>> (a) If the condition of any building or the land on which building was or is being or is to be erected or any earthwork is such that it is dangerous or is showing signs of becoming dangerous to life or property, the local authority, irrespective of whether it was notified in terms of subsection (2), may by notice in writing, served by post or delivered, order the owner of such building, land or earthwork to instruct at the cost of such owner an architect or registered person to investigate such condition and to report to such local authority on the nature and extent of the steps to be taken, in the opinion of such architect or registered person, in order to render such building, land or earthwork safe. >>>(b) The local authority in question may by notice in writing, served by post or delivered, order that any activities be stopped or prohibit the performance of any activities which may increase the danger or hinder or obstruct the architect or registered person referred to in paragraph (a) from properly carrying out the investigation referred to in that paragraph. >>>(c) If it is brought to the attention of a local authority or appears that an architect or registered person instructed in terms of paragraph (a) to perform certain duties is for any reason not competent to carry out the duties in question, the local authority may require such architect or registered person to submit evidence of his or her competence to carry out such duties. >>>(b) order any person occupying or working or being for any other purpose in any building, to vacate such building immediately or within a period specified in such notice. (5) No person shall occupy or use or permit the occupation or use of any building in respect of which a notice was served or delivered in terms of this section or steps were taken by the local authority in question in terms of subsection (1), unless such local authority has granted permission in writing that such building may again be occupied or used. (6) Any person who contravenes or fails to comply with any provision of this section or any notice issued thereunder, shall be guilty of an offence and, in the case of a contravention of the provisions of subsection (5), liable on conviction to a fine not exceeding R100 for each day on which he so contravened. >>>(b) grant authorization for the erection of such building in accordance with the conditions and directions specified in such authorization. (2) Any authorization granted in terms of subsection (1)(b) shall lapse if after the expiry of a period of 6 months the erection of the building has not commenced, but the building control officer may from time to time extend such period at the written request of the owner of such building or any person having an interest therein if such building control officer is satisfied that there are sound reasons therefor. (3) If any building control officer refused to extend in terms of subsection (2) any period of 6 months referred to in that subsection, any person who feels aggrieved may in writing request the local authority in question to consider such refusal and thereupon such local authority may confirm such refusal or extend such period on such conditions as it may think fit. >>>(b) in writing notify such owner or person that it refuses to issue such certificate of occupancy if it is not so satisfied or if a certificate has not been so issued and submitted to it. (2) Any person licensed or authorized by a local authority to carry out the installation, alteration or repair of any electrical wiring connected or of which connection is desired with the electrical supply or distribution works of such local authority or any statutory body, shall, at the request of the owner of a building of which the erection has been completed or of any person having an interest therein or of the local authority, issue a certificate if he is satisfied that the electrical wiring and other electrical installations in such building are in accordance with the provisions of all applicable laws. (1) Any building control officer or any other person authorized thereto by the local authority may enter any building or land at any reasonable time with a view to inspection in connection with the consideration of any application submitted in terms of section 4, or to determine whether the owner of the building or land complies with any provision of this Act or any condition imposed by the local authority in terms of this Act. (2) Any person who hinders or obstructs any building control officer or person authorized by the local authority in question in the exercise of his powers in terms of subsection (1), shall be guilty of an offence. (3) Any building control officer shall, at the request of any person affected by the execution of any of his powers, duties or activities in terms of this Act, produce his certificate of appointment issued to him in the form prescribed by national building regulation. >>>(b) any particular building project which was or is being undertaken in its area of jurisdiction. (2) If the Minister is satisfied that any local authority is unable to report as contemplated in subsection (1), he may order the National Regulator so to report. Regulator, as the case may be, shall have such powers, duties and functions as may be prescribed by regulation. >>>(w) regarding, generally, any other matter deemed necessary or expedient by the Board with the concurrence of the Minister in order to achieve the objects of this Act. (2) Different national building regulations may in terms of subsection (1) be made in respect of different buildings or categories of buildings, uses of buildings, areas or categories of areas, local authorities or categories of local authorities, or portions or categories of portions of the areas of jurisdiction of local authorities. (3) (a) When a national building regulation is published in the Gazette, the Minister shall publish together with it a notice calling upon all interested persons to lodge any objections which they have against such building regulation in writing with the Board within the period specified in such notice. (b) A national building regulation referred to in paragraph (a) shall come into operation on a date fixed by the Minister by notice in the Gazette with regard to the period referred to in the said paragraph: Provided that the Minister, with the concurrence of the Board, may in such notice alter such national building regulation in accordance with any objection lodged in respect thereof in terms of paragraph (a) without complying with the provisions of the said paragraph in respect of the national building regulation so altered. >>>(b) allow such owner to erect such building or buildings or to proceed with or complete the erection thereof in accordance with the applicable national building regulations from which he was not so exempted, if any, and the directives specified in such notice: Provided that no such directive may relate to any matter not specified in subsection (1). (5) >(a) Notwithstanding anything to the contrary contained in any law the Minister may, if he is of the opinion that it is necessary or expedient for the proper compliance with or operation of any of or all the national building regulations or directives that any servitude or restrictive condition or other provisions applicable in respect of any land by or under any law or registered in respect of any land in terms of the Deeds Registries Act, 1937 (Act No. 47 of 1937), or otherwise applicable in respect of land, be removed or amended, after consultation with the Administrator of the province in which such land is situated and after compliance with the procedure prescribed by regulation, by notice in the Gazette remove or, to such extent as he may indicate, amend such servitude, condition or provision. >>>(b) On the publication of a notice referred to in paragraph (a) the Registrar of Deeds concerned shall in respect of the removal or amendment of the servitude, condition or provision in question, make suitable entries in the registers in his office, and when the title deed of any land to which such notice relates is for any purpose submitted to such Registrar he shall endorse such removal or amendment on such title deed. (6) Any provision occurring in a specification, standard specification, code of practice or standard method may be incorporated in a directive by mere reference, and in regard to such an incorporation the provisions of section 33 of the Standards Act shall mutatis mutandis apply as if it were an incorporation in a law. (7) The national building regulations or any directive may provide that, without fully defining any particular materials or methods of erection, in so far as quality and standards are concerned the use or employment of any specified materials or methods of erection or compliance with any specified specification, standard specification, code of practice or standard method shall be deemed to comply with the quality and standard required by such national building regulations or directive. (8) In the national building regulations provisions may be included which the Minister deems necessary to ensure, notwithstanding the provisions of any other applicable law or the issue of a certificate of occupancy in terms of section 14, the essential maintenance or repair of any building or the efficient operation of any equipment or machinery installed therein. (1) A local authority may, at the request in writing of the owner of any building or any person having an interest therein, in respect of the erection of such building or the land on which it is being or is to be erected, in writing permit a deviation or grant an exemption from any applicable national building regulation except a national building regulation regarding the strength and stability of buildings. (2) The Board may, at the request in writing of the owner of any building or any person having an interest therein and after consultation with the local authority in question, in respect of the erection of such building or the land on which it is being or is to be erected, in writing permit a deviation or grant an exemption from any applicable national building regulation relating to the strength and stability of buildings. (1) If the Minister, after consultation with the Board and notwithstanding anything to the contrary contained in any law, is satisfied that any method or material used or to be used in the erection of any building will not be in the public interest or will be dangerous to life or property, the Minister may, having in writing notified the local authority in question, by notice in the Gazette or by notice sent by post or delivered, prohibit the owner of the land on which such building is being or is to be erected from using such method or material in such erection. (2) Any person who contravenes or fails to comply with the provisions of a notice referred to in subsection (1) shall be guilty of an offence and liable on conviction to a fine not exceeding R100 for each day on which he so contravened or failed. >>>(f) regarding any other matter which in terms of this Act is required or permitted to be prescribed by regulation. (2) Any regulation made under this section may prescribe that any person who contravenes or fails to comply with such regulation shall be guilty of an offence and liable on conviction to a fine not exceeding R200 or to imprisonment for a period not exceeding 2 months. Notwithstanding anything to the contrary contained in any law relating to magistrates’ courts, a magistrate shall have jurisdiction, on the application of any local authority or the Minister, to make an order prohibiting any person from commencing or proceeding with the erection of any building or authorizing such local authority to demolish such building if such magistrate is satisfied that such erection is contrary to or does not comply with the provisions of this Act or any approval or authorization granted thereunder. The provisions of this Act shall not derogate from any power conferred by or under any other law upon any local authority to levy, receive or charge any rates, taxes, fees or other moneys in respect of any building or land or to levy, receive or charge moneys in connection with the examination of plans, specifications or information or the performance of any other duties in terms of this Act. >>>(c) any person be exempted from the provisions of any other law applicable in the area of jurisdiction of such local authority. Any person convicted of an offence under this Act in respect of which a fine or imprisonment is not expressly provided for, shall be liable to a fine not exceeding R4 000 or to imprisonment for a period not exceeding 12 months. If in any prosecution for an offence in terms of this Act it is necessary, in order to establish the charge against the accused, to prove that he failed to comply with the requirements of this Act relating to standard or quality of materials, design or workmanship, an allegation in the charge sheet that such accused so failed, shall be sufficient proof thereof unless the contrary is proved. Notwithstanding anything to the contrary contained in any law all moneys recovered by way of fines or estreated bail in connection with any offence in terms of this Act, except an offence referred to in section 20 (2), shall be paid to the local authority concerned. (1) If the Minister, after consultation with the Board and the Administrator of the province in question, is satisfied that a local authority fails to apply any relevant provision of this Act properly in its area of jurisdiction, the Minister may by notice in writing, served by post or delivered, order such local authority to so apply such provision forthwith. (2) If a local authority without reasonable cause fails to comply within a reasonable time with the provisions of any notice served on or delivered to it in terms of subsection (1), the Minister, after consultation with the Board and the Administrator of the province in question, may by notice in the Gazette deprive such local authority of any power or exempt it from any duty conferred upon or entrusted to it by or in terms of this Act and confer such power or entrust such duty to any person, including such Administrator, mentioned in such notice, and thereupon such person shall for the purposes of such power or duty be deemed to be such local authority. (3) Any notice published in the Gazette in terms of subsection (2) may be withdrawn in like manner. (1) The Minister may on such conditions as he may think fit, in writing delegate any power conferred on him by or under this Act, other than a power referred to in section 2 (2) or (4), 9 (2), 17, 19, 20, 27 or 29, to the Chief Executive Officer of the National Regulator, but the delegation of any such power shall not prevent the exercise thereof by the Minister himself. >>>(b) in terms of section 18(2), on such conditions as it generally or in any particular case may think fit, to any local authority or category of local authorities, but the delegation of any such power shall not prevent the exercise thereof by the Board itself. (3) The Chief Executive Officer of the National Regulator may in writing delegate any power delegated to him in terms of subsection (1) or (2) to any person in the employ of the National Regulator, but the delegation of any such power shall not prevent the exercise thereof by the Chief Executive Officer himself. (4) Any local authority may in writing delegate any power conferred upon it by or under this Act, other than a power referred to in section 5, to any committee appointed by it or to any person in its employ, but the delegation of any such power shall not prevent the exercise thereof by such local authority itself. >>>(b) the area of jurisdiction, or any part thereof, of any local authority in so far as it has in terms of section 2 (2) been exempted from the application of any national building regulation, irrespective of whether such area of jurisdiction or part was exempted after the commencement of such national building regulation. (2) A local authority shall within six months after the coming into operation of the National Building Regulations and Building Standards Amendment Act, 1989, submit any building regulation or by-law referred to in paragraph (a) of subsection (1), and any standard building regulation referred to in the proviso to section 31, which is applied by the local authority by reason thereof that it is considered that the regulation or by-law, or standard building regulation, has not lapsed by virtue of subsection (1) or section 31, as the case may be, in consolidated form in both official texts to the Minister. (3) The Minister shall consider a regulation or by-law, or standard building regulation, referred to in subsection (2), in consultation with the Board and taking into consideration any submissions submitted thereon by the local authority in question, in order to determine whether in his opinion and in the opinion of the Board it has been replaced by or is repugnant to any national building regulation, and shall forthwith make known in writing the decision to which he and the Board came to the local authority. >>>(b) for the purposes of section 31 be deemed that section 14bis of the Standards Act, 1962 (Act No. 33 of 1962), under which the standard building regulation was framed and published, has been repealed in respect of a standard building regulation to which the said decision relates. (5) A local authority shall, in the case of a notification to it in terms of subsection (3) of a decision that a relevant regulation or by-law, or standard building regulation, has not been replaced by or is not repugnant to any national building regulation, make known the decision within a period of three months from the date of the decision by notice in the Official Gazette concerned, mentioning the full text of the regulation or by-law, or standard building regulation, concerned, in consolidated form and the law under which it was made or framed. the provisions of paragraph (a) or (b), as the case may be, of subsection (4) shall with effect from the day immediately following on the last day of the period of six or three months mentioned in paragraphs (a) and (b), respectively, mutatis mutandis apply in respect of the relevant regulation or by-law, or standard building regulation. (7) >(a) The Minister may at any time, after written notice to the local authority concerned, and mutatis mutandis in accordance with the provisions of subsection (3), review any decision contemplated in subsection (5). >>>(b) The provisions of subsection (4) shall mutatis mutandis apply in respect of a decision on review contemplated in paragraph (a), that a regulation or by-law, or standard building regulation, concerned has been replaced by or is repugnant to a national building regulation. (8)> (a) A local authority which intends to make any regulation or by-law which relates to the erection of a building, shall prior to the promulgation thereof submit a draft of the regulation or by-law in writing and by registered post to the Minister for approval. >>>(b) A regulation or by-law referred to in paragraph (a) which is promulgated without the Minister previously having approved of it shall, notwithstanding the fact that the promulgation is effected in accordance with all other legal provisions relating to the making and promulgation of the regulation or by-law, be void. Section 14bis of the Standards Act is hereby repealed: Provided that that section shall be deemed not to have been repealed in respect of any standard building regulation which was framed and published in terms of that section and which has not been replaced by or is not repugnant to any national building regulation. This Act shall be called the National Building Regulations and Building Standards Act, 1977, and shall come into operation on a date fixed by the State President by proclamation in the Gazette. I have a 3m x 3m wendy house in my back yard which i use for storage. garden equipment etc. i also have next to that 2 small px containers used for storage. do i require a building plan or permission from the local municipality for these structures? Incidently, the nelson mandela municipality informed me that these structures are regarded as “unauthorised structures”. they even sent me a google earth pic of my erf. or as they refer to it as CORPORATE GIS PICTURE. not sure when the SA Goverment launched That saterlite? 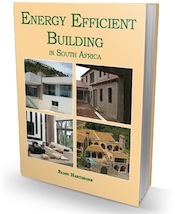 I heard somewhere that SANS XA or 204 is not applicable in terms of energy usage in buildings under 80sq/m? Is this indeed that case, and if so, where in the SANS documents is this indicated? But there is no reference at all to Category 1 buildings in SANS XA or SANS 204! I was told today by the City of Cape Town that the SANS 10400 National Building Regulations are copy right protected. How can this be so? Yes they are! That is why the only place you can get (buy) the SANS (and any others) is from the SABS. They employ professional people to do the research, testing etc and to write the standards. I am staying in a town house.The Body Corp is run by ourselves. When I bought the townhouse the carport was covered with shade net,this caused a mess when it rains. Keep in mind that the Carport structure was approved and build years back when the complex was build. A lot of the owners covered there carports with shade net or corigated sheets. I decided to do the same,I removed the filthy shade net and replaced it with sheets of corigated sheeting. Do I need plans for this? Does a building method, which has a Agrément Certificate, comply with the National Building Regulations? An agrement certificate is for buildings that don’t comply (or can’t comply) with the NBR – e.g. straw bale houses or containers converted into homes. Currently bought a semi detached house and would like to extend my lounge, but the wall I want to extend is the wall between myself and neighbours.seeing that house is semi detached to start off with do I still need consent from neighbour.also the same wall being discussed becomes a boundary wall outside my existing lounge. Hi Theo, this sounds like you will need plans that you must submit to council together with permission from your neighbour as well as the body corporate of your development. This must all be done before you start to do any renovations. Are there any regulations regarding how close a building may be erected next to a mine-dump? This isn’t covered in the NBR – and I have no idea what regs would apply. I presume the local authority would know. Does an owner builder need to be registered with the NHBRC ? What must an owner builder display on the notice board at his building site ? Hi Deon, Yes you must “register” as an owner builder and then you get an exemption certificate from them. I do not recall seeing any rules regarding “owner builder” display signs on your site. The best will be to ask your planning department when you submit your plans for approval, they can tell you. I am a registered professional architect since 1974 and graduated at the University Free State (B.Arch). I have been told by the Municipality of Brits that I can no longer submit plans for approval by their local authority as I do not have a certificate of attendance to some workshops that I did not even know were held. This affects my profession seriously as I have to go to Draughtsmen who possesses certificates in this regard at a high cost. It does not make sense, and if this is so, where can I attend such workshops to obtain a certificate? Hans I suggest you contact the SA Institute of Architects for advice.